Francine R. Bulmash nee Ornstein, 81, beloved wife of Paul for 55 1/2 years; loving mother of Jodi Holman, Mindy (Fred) Lucas and Gene Bulmash (Emily Kaiser); cherished Nonnie of Isaac, Tommie, Rachel, Sarah, Dave, Yaakov, Aidan and Ben; devoted daughter of the late Joseph and Rose Ornstein; dear sister of the late Eugene Ornstein. Chapel service, Thursday, 12:15 PM at Shalom Memorial Funeral Home, 1700 W. Rand Road, Arlington Heights. Interment Shalom Memorial Park. In lieu of flowers, memorial donations may be made to the MDS Foundation. 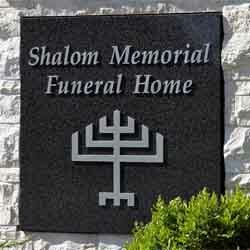 For information or condolences, (847) 255-3520 or www.shalom2.com. My deepest sympathy to the Bulmash family! I had the great pleasure of working at Evanston Hospital and spending lunch with her at the Lunch Bunch table with your mother for so many years. Like Linda said, she always ate her desert before her sandwich. I will always cherish my time with her. She will be dearly missed. Our most heartfelt condolences to Fran's wonderful family and friends at this most difficult time. We were profoundly saddened to hear of Frans Passing. She always had a big smile and enthusiastic wave each and every time our paths crossed, which was quite often living across the street from she and Paul. She made us an absolutely delicious cake as thanks for helping her and Paul one time, it was nothing really but she expressed her gratitude to us and wouldn't take back the beautiful plate the cake was presented on. We cherish that plate and will always remember the sweet woman who no doubt meant so much to so many, and touched our lives as well. May her memory be a blessing to all who knew her. My deepest condolences to the Bulmash family. Fran and I worked at Evanston Hospital. We had a group that ate lunch together. We called ourselves the " Lunch Bunch". Fran was the one that always ate her ice cream first before her tuna sandwich. May God remember the soul of Francine R. Bulmash who has passed to eternal rest. O God, I pray that you will keep the soul of my dear______________ united with us in the bond of life. In his/her memory, guide me so that I will live righteously, fulfilling Your will and serving our people. May his/her soul rest in peace and be remembered as a blessing. O God, as I remember, Francine R. Bulmash I pray that I may emulate all that was good and righteous in his/her life. May his/her soul be given eternal life and his/her memory always remain a comfort and source of inspiration. A link has been broken in the chain that has bound us together, yet strong bonds of home and love hold us each to the other and we give thanks for the blessing of life, of companionship, and of memory.